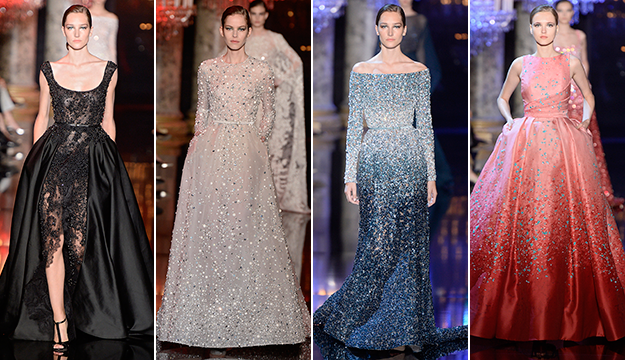 Haute Couture Week in Paris provides us with endless inspiration, lots of really pretty dresses, and sometimes... really crazy, out-of-this-world designs. But that's why we love it so much -- it always keeps the fashion crowd on its toes. Stretching their creative wings as far as possible, the designers that participate in Haute Couture create incredible, memorable collections. From face masks and wacky hair to HUGE skirts and tons of volume, it is a designer's chance to go all out. Click through the gallery above to see the weirdest and wackiest looks that have come down the couture runways this week.